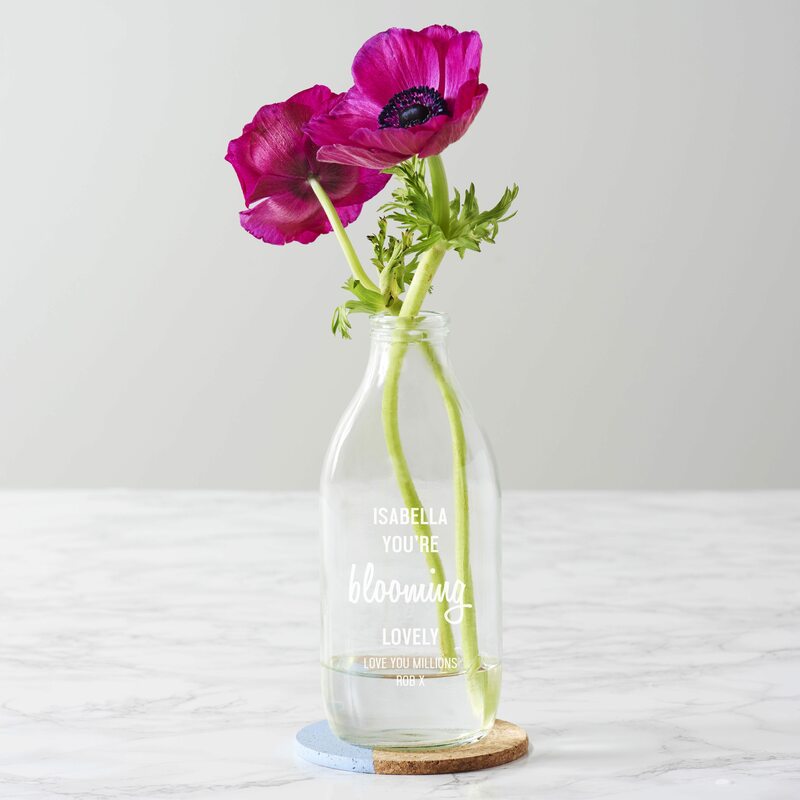 Go one step further than the usual bunch of flowers this Valentine’s Day by adding a personalised milk bottle style vase to display them in. 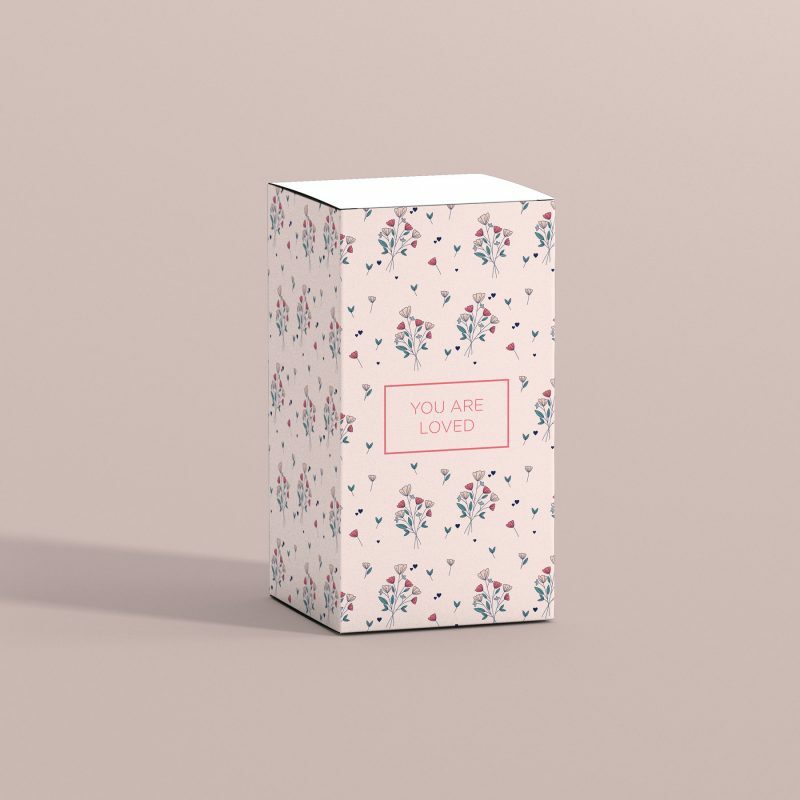 This would also make a lovely Mother’s Day gift. 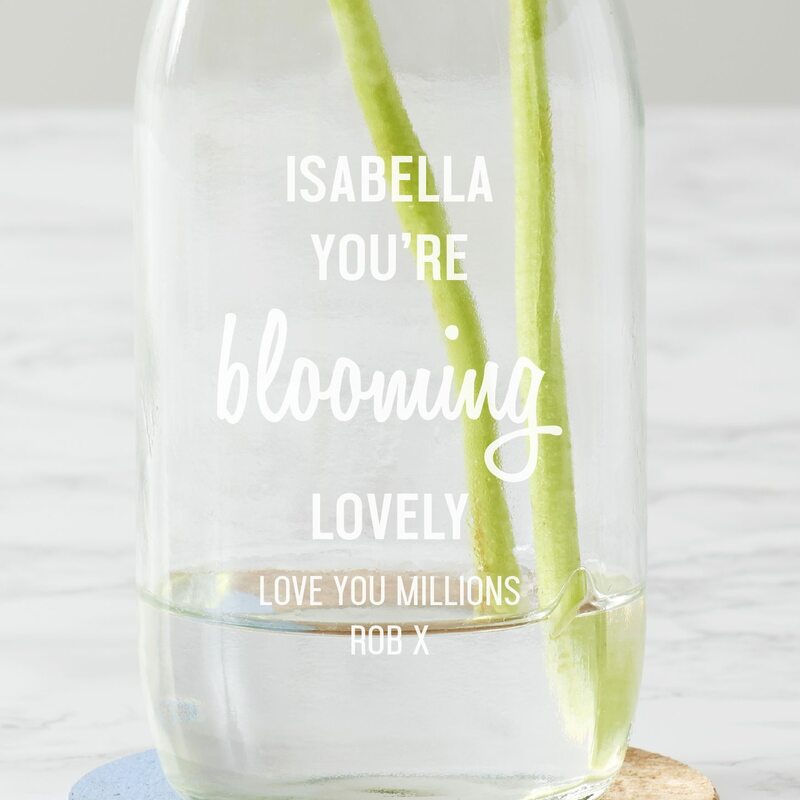 Etched with the words ‘YOU’RE BLOOMING LOVELY’, you can add up to twelve uppercase characters for the name of your choice. 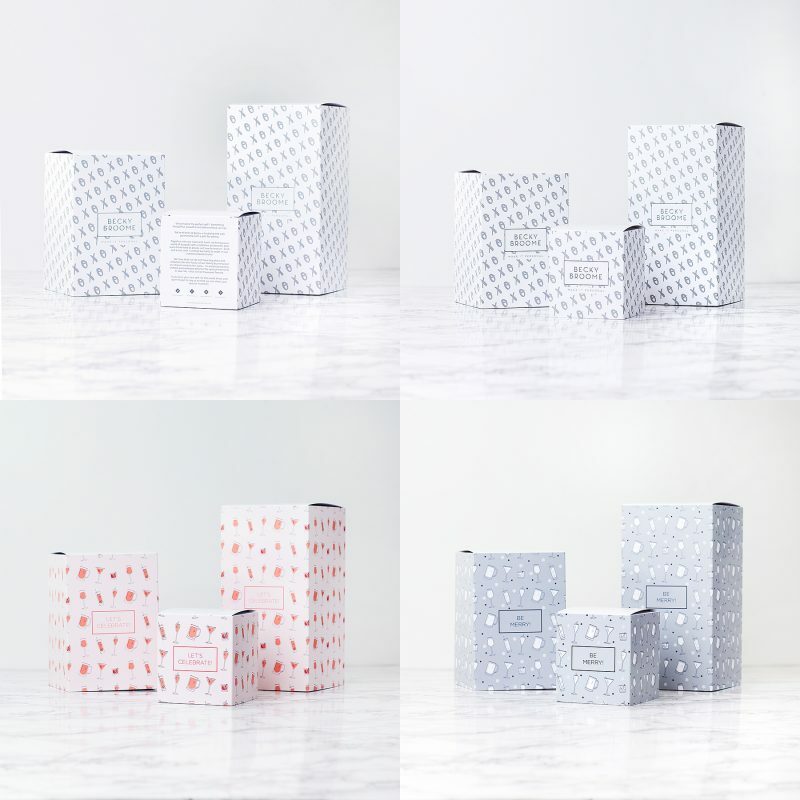 You can also personalise up to two lines of text with a message of your choice. You can add up to twenty mixed case characters per line. Please double check all spelling and punctuation as we will etch exactly what you enter. Each bottle is hand etched at our studio in Liverpool. As standard, the bottle comes wrapped in bubble wrap and is sent in a bespoke postal box.